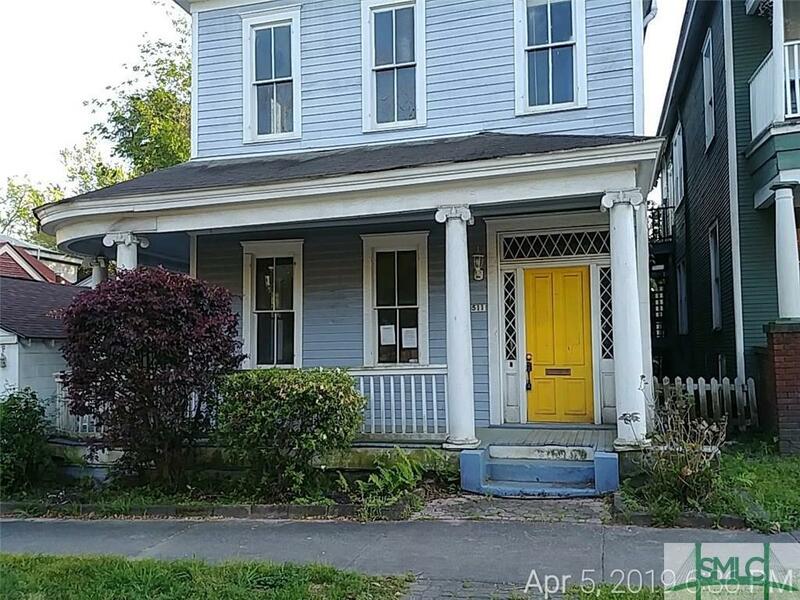 Victorian home in need of renovation, with many original details, including wrap around porch, pocket doors, high ceilings, multiple fireplaces. There's a nice size deck on the rear and a storage building, as well. There is not a driveway, but property is accessible via the rear lane. Less than a block from a SCAD building. Sold as is, no seller disclosure is available.